They say truth is stranger than fiction. 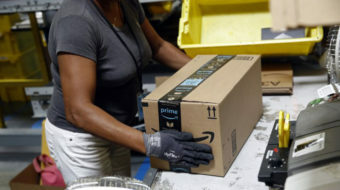 So don’t be surprised that the Koch Brothers, BP, and a web of multinationals have been hedging bets and kicking up dust on an industrial corridor of working-class neighborhoods off the Calumet River, between Chicago and Indiana. BP has been buying up land and completing work on a massive facility to refine crude oil from the Alberta, Canada tar sands, the dirtiest form of oil there is. BP’s bets hedge on an Obama approval for Keystone XL that will transport the crude oil to refineries here and on the Gulf Coast. BP has already added equipment to triple its refinement of tar sands crude from 700,000 tons to 2.2 million tons per year according to documents it filed to obtain construction permits. The company hopes to raise that level to 11 million tons per year. The refining of tar sands oil produces massive amounts of petcoke or petroleum coke, a black powdery substance. The Koch Brothers are purchasing petcoke from BP and other refineries to sell to buyers in India, Mexico and China as a cheap fuel source. 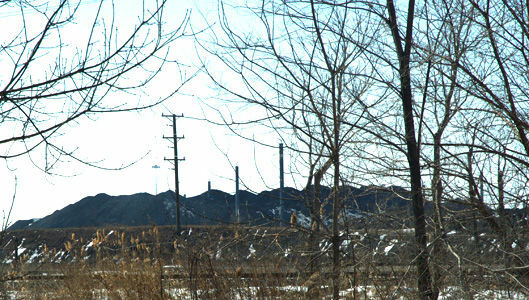 The petcoke from the BP Refinery and another in Joliet is being stored in huge mounds along the Calumet River by KCBX Terminals, a subsidiary of Koch Industries, awaiting shipment. Petcoke has been linked to respiratory health problems, cancer, and general filth. These efforts have met resistance from every angle. Concerned citizens like Tom Shepherd and Peggy Salazar of the Southeast Environmental Task Force in the Hegewisch neighborhood are busy rallying the community, shedding light and giving “toxic tours” of the area. An outpouring of anger by residents has resulted in Mayor Rahm Emanuel and the Department of Public Health (CDPH) issuing new guidelines that require that facilities that store petcoke, coal, and other forms of coke to fully enclose their storage piles and provide the City with monthly reports on implementation of the regulations. Emanuel has also introduced an ordinance in City Council that would halt further expansion of the petcoke operations. Residents say the ordinance doesn’t go far enough. They want the petcoke removed entirely. “But it’s a step in the right direction,” says Shepherd. Attorney General Lisa Madigan and lawmakers in the state legislature are also proposing regulations that would completely enclose the petcoke operations. John D. Rockefeller established a refining operation known as Standard Oil of Indiana and the area became a stronghold for industrial commerce – as it’s strategically situated in “the hub” of our nation’s rails. “You can ship anything anywhere from this hub including tar sands oil,” says Tom. Neighborhoods in Whiting, Indiana and East Chicago and the historic Marktown, once home to steel and other manufacturing workers, remain inhabited and lie now in the shadow of the BP refinery which emits sulfurous fumes into the air. Then you travel northwest on the Chicago side to find the piles of petcoke that arrive there by the trainload from the BP refinery. The piles of petcoke are the source of even greater wealth for the already super-wealthy Koch brothers. Residents endure airborne petcoke on a daily basis and on occasion ominous black clouds of the stuff, far away from BP boardrooms, endanger everyone around – from the chilren and their parents to the family pets. Proponents of the expansion of the Keystone XL pipeline claim it will produce jobs and make America less dependent on foreign oil, but opponents challenge those assertions. Nevertheless, Republicans and even many Democrats have voiced support for the expansion. They should speak with Marie Aguilar who lives in the area adjacent to the petcoke piles. Aguilar says she can’t open her windows and every time she washes her windows throughout the summer its black – black dirt. “Through the windows on top of my tables is black dirt and it’s effecting us healthwise.” She has a lot of friends and neighbors with cancer. “I have three grandkids and they all have asthma,” says Aguilar. Another resident told us within two hours of washing his car it is covered with a film of petcoke. Kerry is due to make recommendations to President Obama regarding the pipeline’s impact on national security and the environment. Shepherd and Salazar and the Southeast Environmental Task Force are part of a growing coalition on Chicago’s Southeast side of concerned citizens who are becoming seasoned environmental activists. 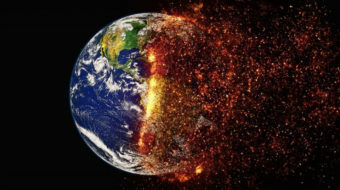 Other groups include Steelworkers Organization of Active Retirees, Environmental Justice Alliance of the Greater Southside, and regional partners like the Natural Resource Defense Council, Respiratory Health Association and the Sierra Club. Rep. Schakowsky praised the grassroots movement. In Detroit a similar movement shut down the Koch Brothers’ petcoke operation and grassroots organizers across the nation are working with First Nations in Canada to resist the Keystone XL pipeline on every front. They are standing in solidarity and asking you to contact your senators and representatives to go on record and say “no” to the Keystone XL pipeline. Time is running out, they say.